Comments: Good Condition. Answer fields are completed on multiple pages. Five star seller - Buy with confidence! David Bodycombeis a puzzle author and games consultant. 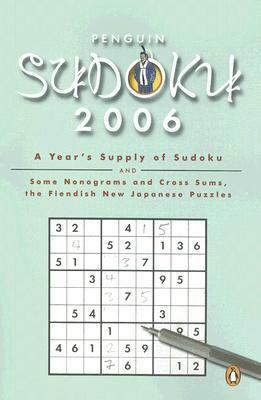 In the United Kingdom, over two million people a day read his puzzles, and internationally his work is syndicated to over 100 newspapers.Bodycombe, David J. is the author of 'Penguin Sudoku 2006 A Years Supply Of Sudoku', published 2005 under ISBN 9780143037460 and ISBN 0143037463. Loading marketplace prices 5 copies from $1.79 How does the rental process work?